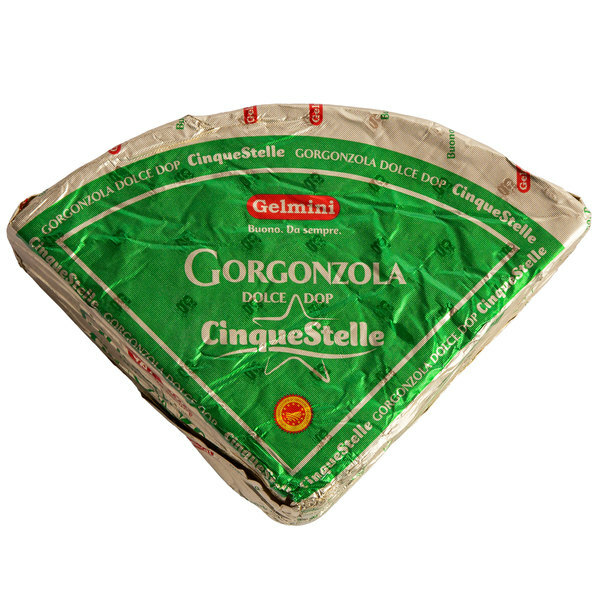 Indulge in a truly remarkable cheese eating experience with this Gelmini Cinque Stelle Gorgonzola cheese! 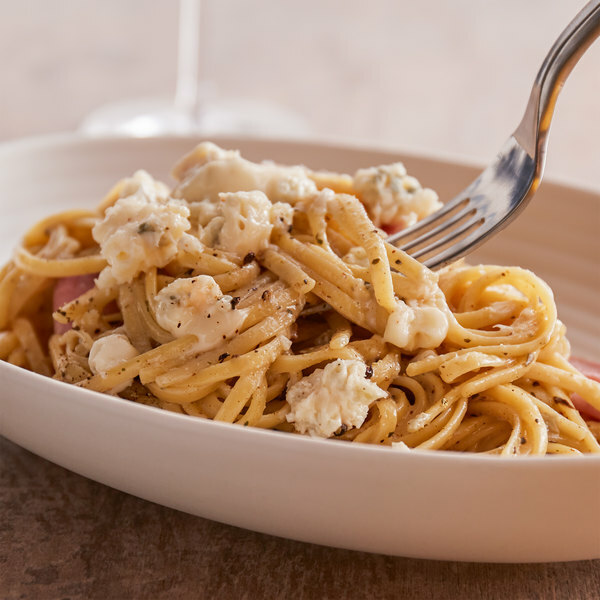 Thought to have first been made in Italy in the late 9th century, Gorgonzola cheese was originally aged in caves where the environment encouraged the growth of Penicillium bacteria - the mold that gives this and other "blue" cheeses their distinctive blue-green veins. Though the factories where Gelmini cheese is produced and aged today are a far cry from the caverns and grottos of its past, their precisely controlled temperature and humidity makes them the perfect environment to encourage the growth of the bacteria that make this cheese truly stand out! 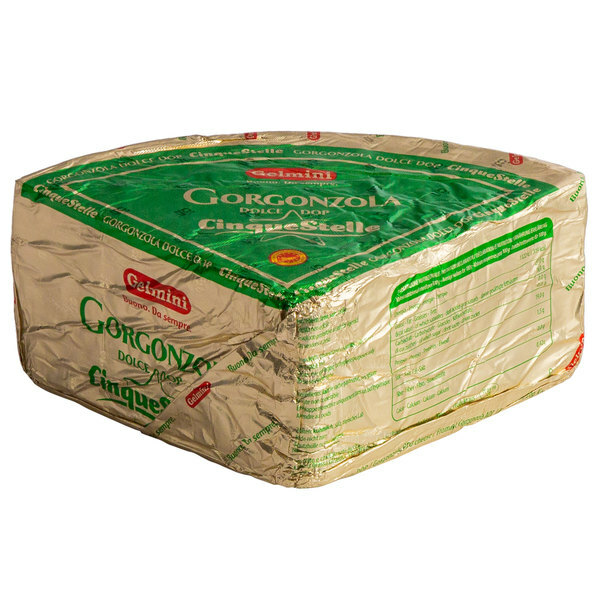 This Gorgonzola cheese is aged for around 2 months, during which time it is pierced with metal rods to encourage the growth of Penicillium bacteria in the interior of the cheese wheel. The result is a tangy, sharp, slightly spicy cheese shot through with beautiful blue veins with an intense start and mild - though lingering - finish. 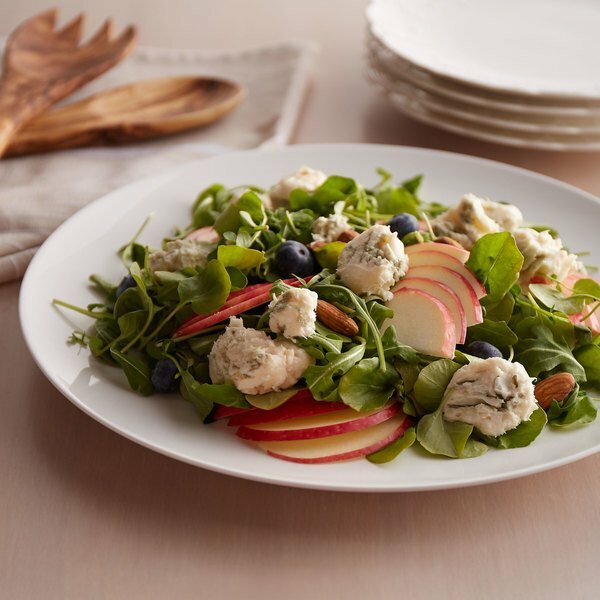 In contrast to its bold flavor, however, its texture is wonderfully rich, creamy, and smooth, which produces a perfectly balanced mouthfeel.